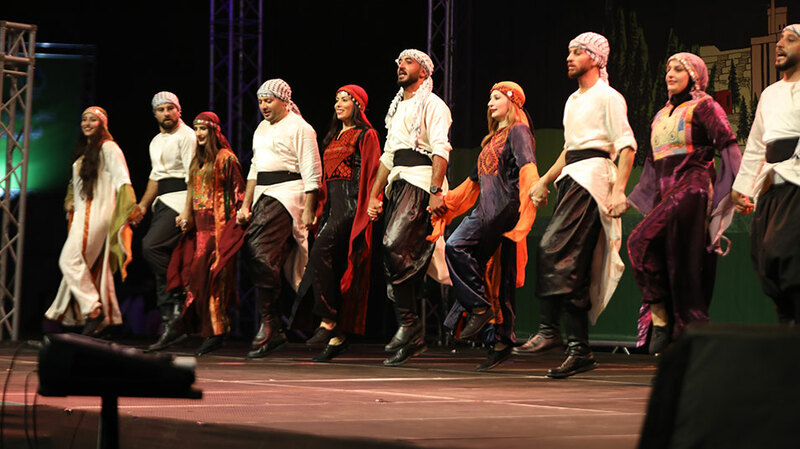 In support of the Students Fund, Birzeit University brought back Palestine’s folklore and culture back to life in its eighth annual Birzeit Nights festival, held under the sponsorship of the Deanship of Student Affairs, on August 7-8, 2018. 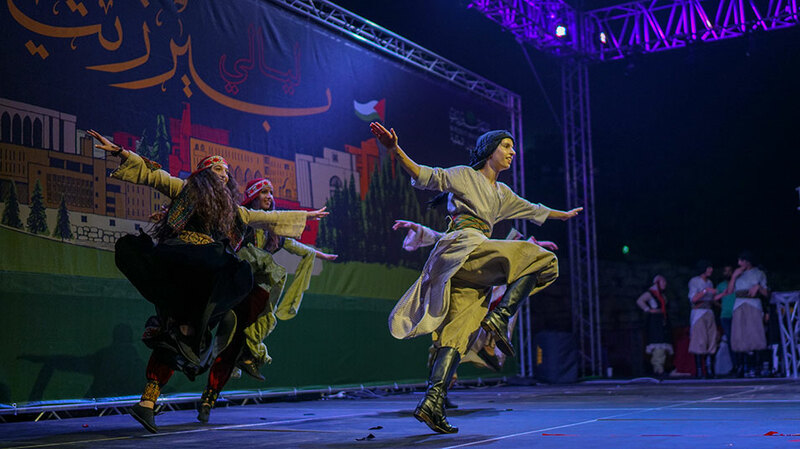 In the two-day festival, musical performances and art shows presented by local dance troupes and artists portrayed the Palestinian indigenous collective identity, revived traditional culture, and reflected contemporary life in Palestine. The festival has been held as an annual tradition since 1984. On its first night, the festival hosted the Palestinian band Wala’at from Acre. The band performed a number of catchy songs that discussed social and political issues critically and ironically. The smooth and soft tunes retold the story of Palestinians under occupation. 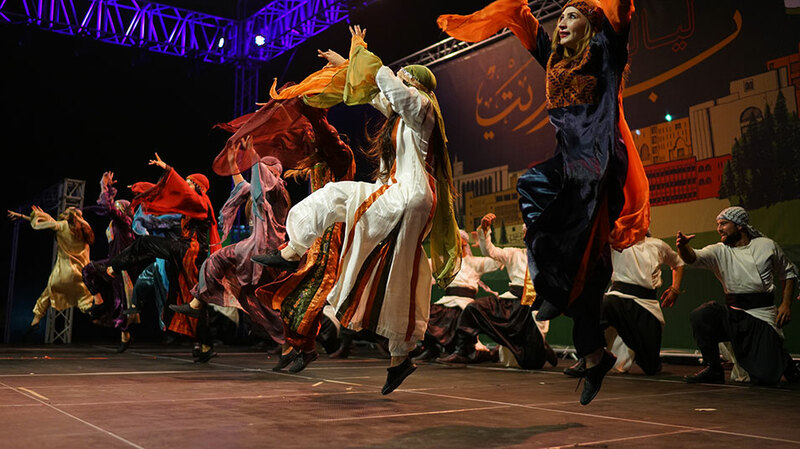 After Wala’at, the university’s musical troupe “Sanabel” and Dabkeh troupe “Juthor” reflected the Palestinian folklore through singing and dancing national and cultural popular songs. The first day was concluded with a performance by Siwar for Popular Art, a Jerusalemite Dabkeh troupe that seeks through its shows to present the hard life under occupation for people in Jerusalem live, and their eagerness to live despite all obstacles. 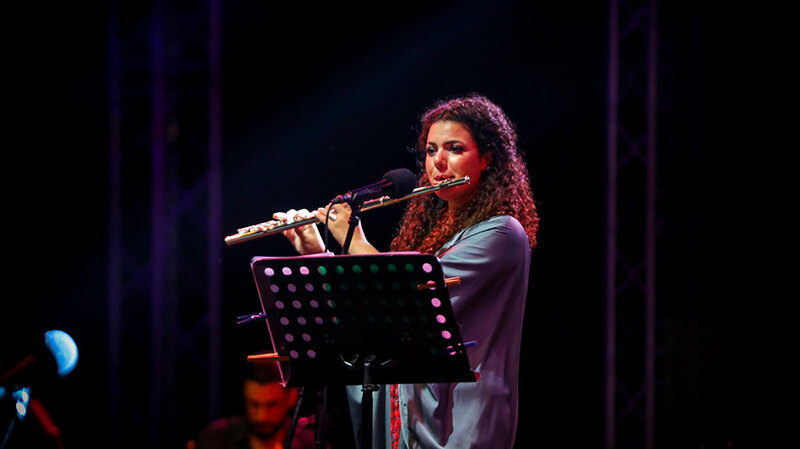 On the second day, Birzeit University hosted Nai Bargouti, a Palestinian young flutist and singer. She performed songs from her latest artwork “From every garden”, presenting the artistic heritage of the Levant and Egypt. Fnonyat Band of Folklore and Folk Dance, and Saryyet Ramallah Troup concluded the evening dancing in a uniform rhythm, and using a bright vocalization under the applause of a joyful public. The festival was also accompanied by six days of morning activities, held on the university campus, ranging from the Birzeit Nights book fair and a traditional handcrafts exhibit, to a poetry recital and plays. All of the proceeds generated by the festival will go toward the Birzeit University Student Fund, which supports students in financial need to continue their academic journeys.